Particles can be sampled for unbiased estimates of surface in a number weighted, volume weighted, or surface-weighted manner. 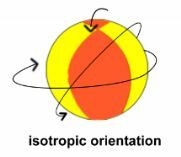 To estimate the surface area of particles or spaces with the surfactor (Jensen and Gundersen, 1987), isotropic sections must be used. 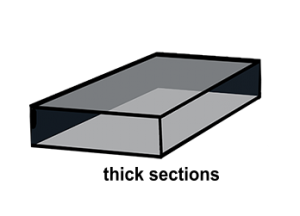 Thick sections must be used if sampling is number weighted. 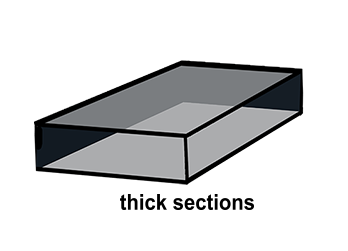 If sampling is volume or surface weighted, thin sections may be used. 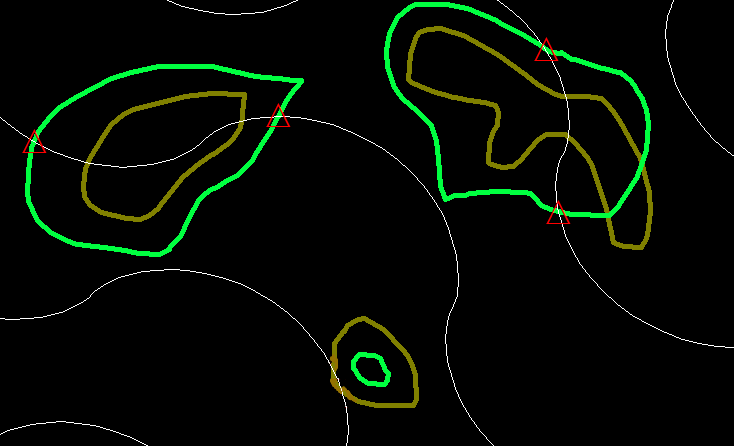 As for all of the local particle volume and surface probes, we start by marking a unique point inside the particle (‘o’ in figure below). To get an estimate of the surface area (and volume) of a group of particles, the vertical spatial grid (Cruz-Orive and Howard, 1995) can be used. Unlike the surfactor and isotropic rotator (see above) that are local probes, the vertical spatial grid is a global probe. The local probes have an advantage over the vertical spatial grid in that for global probes there can be difficulty focusing on the tops and bottoms of the particles (Tandrup, etal., 1997, pg. 108, last paragraph). The idea is to use two arrays of cycloid lines that are perpendicular to each other and have the minor axis of the cycloid lined up with the vertical axis (Cruz-Orive and Howard, 1995, fig. 3). Start with systematic random sampling so that you have a series of thin sampling planes. 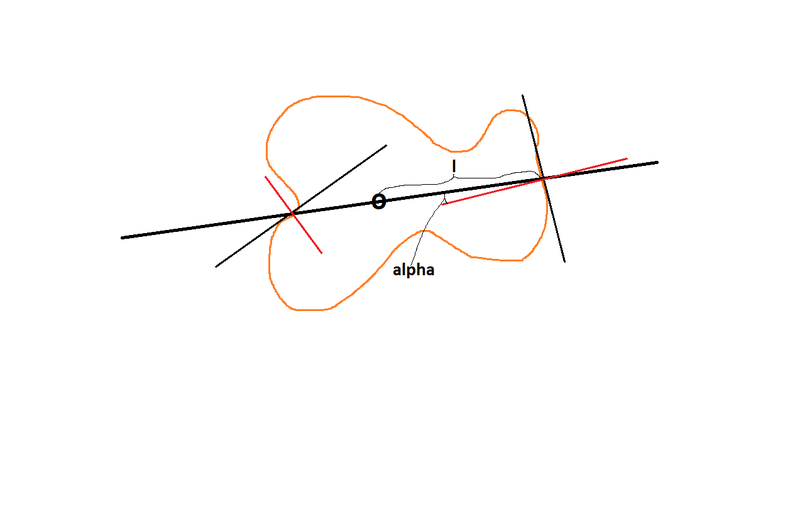 It will be easy to mark the intersections (I) of the cycloid lines that are in the XY plane with the line that is created by the cross section of the surface of the particle. Those intersections are called Ixy (Cruz-Orive and Howard, 1995, fig. 2b and 2c, where the cycloid intersects the boundary of the particle). In the figure above, the vertical axis direction had already been indicated and the cycloids are laid down with their minor axes aligned with the vertical direction. 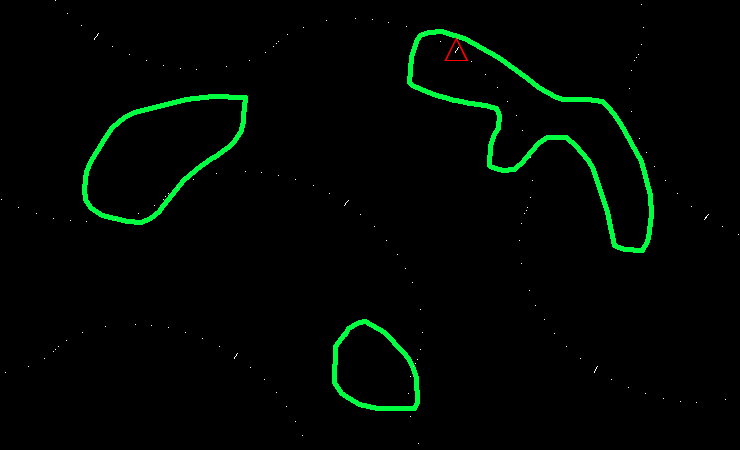 The red triangles indicate Ixy, the place where the surface of the particles crosses the lines. But we can’t see the cycloids in the XZ plane as lines because they are coming in and out the plane of section and would appear as points. 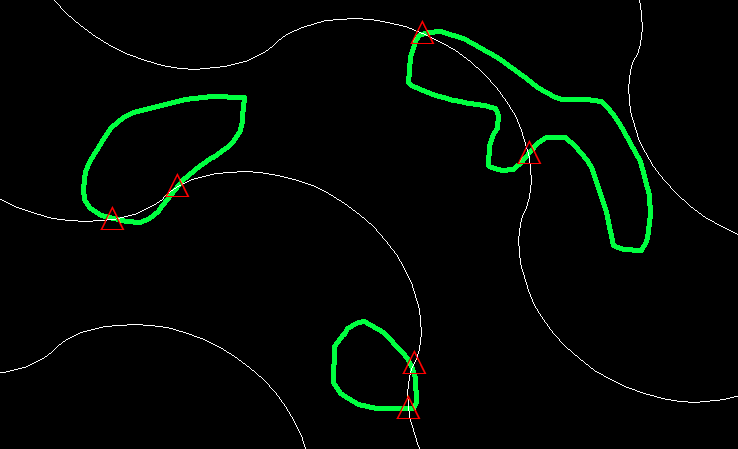 So points along the XY cycloids (now dotted) are shown that represent the XZ cycloids (dashes along the dotted lines). If one of these goes through the particle it is marked (see red triangle above) indicating an intersection that will be used to calculate the number of Ixz. The points also can serve to estimate the volume of all of the particles. Now the next sampling plane is brought into focus. 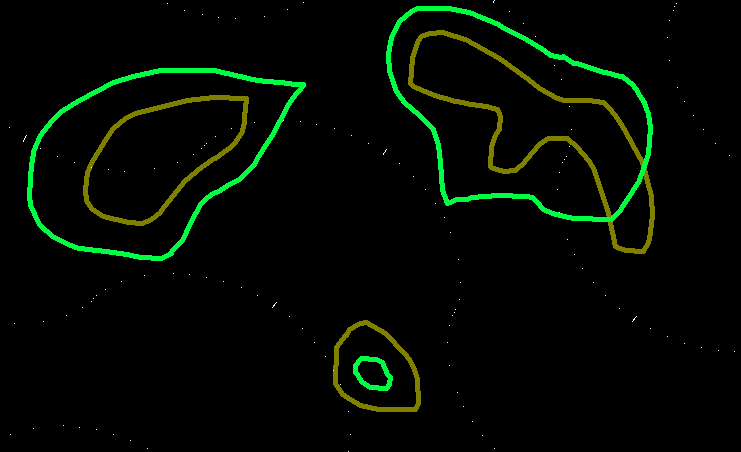 In the images below the cross sections from the first sampling plane (green cross sections above) are shown in yellow, and the cross sections that are now in focus are in green. Again, it is easy to mark the intersections of the cycloids in this XY plane with the surface (red triangles above) to get Ixy. But to get Ixz we have to look at points, and to further complicate things, the lines are cycloids, not straight. This is why the XY grid of cycloids has been vertically shifted upward compared to where it was at the last focal plane (compare how the cycloids go through the yellow cross sections above to the green cross sections in the first image above). They are shifted (Cruz-Orive and Howard, 1995, pg. 149, second column) to follow the cycloids that are in the XZ plane as we focus up and down. Now we mark the points that will help calculate Ixz as well as be used for a volume estimate. Cruz-Orive, L.M. and C.V. Howard (1994) Estimation of Individual Feature Surface Area with the Vertical Spatial Grid. J. of Microscopy, 178, 146 -151. Jensen, E.B. and H.J. Gundersen (1987) Stereological Estimation of Surface Area of Arbitrary Particles. ACTA Stereol., 6/III, 25 – 30.